Are we really right around the corner from a serious depression? We had an interesting discussion on the “forum” regarding some input from a member of our “family” stating that the U.S. is “right around the corner” from a major depression. Two of the statistics he used to support his argument were the export levels and the amount of personal equity held in people’s homes. Now, I have to absolutely agree that for someone 65 years or older to only have $125k to $130k in home equity is a pretty sad state of affairs. Now, let’s consider total net worth with a breakdown including home equity and other categories. That number is even more frightening! If Kathy and I could only access a bit over $31K from assets other than our home equity, I guarantee you that I would not be sleeping at night. Regarding export numbers, through September of 2015 on a total census basis exports were $126,552 (million) and that is the lowest number since 2010 when it came in at $107,334 (million). Is Big Al concerned? You bet and you better believe that there is serious trouble in “Mudville” because I think that Casey is about to go down! We’re headlong into a liquidity trap, meaning as the senior central banker of Japan was quoted as saying after the onset of financial crisis, ‘there’s nothing you can do about deflation’ – he was replaced not long after. I am a 72 yr. old working Canadian and I would love to respond to you but I know it will take at least 2 pages to do so. Got an email address I can send my reply to? I am looking forward to what you have to say. Best to you, my friend. Many of our forefathers like Thomas Jefferson warned us about the control of banking powers and control of the currency. Until the masses wake up, the charts and ” talk in circle analysis ” will continue..
At least we have the rest of the world on ( the brain washed ) our” side, and the monetary system is soon to change.. The world economy is close to a major change of the narrative. The world economies are about to boom in a major way! Only the uninformed are going to be behind the curve. From now to the next few months will be the best time in recent history to pick up assets at rock bottom prices! Even though it looks like the wheels are coming off, this day in time is the best in 70 years! I believe that Doc agrees although I am not sure about seventy year but that could be the case. I’m afraid that most North Americans can’t adjust to a new world which requires new ideas, new habits, and a new order of doing things. They don’t understand that prosperity for them is gone, The Bull Market is still being touted but The Great Depression of the 1930’s started before the stock market crash. Your graphs are a great visual but I’m afraid that most people are so far in hock these days that $31,000 is far more then they could muster. They have nothing but a piece of paper, that is worthless. I completely agree Mr TRACY! Kind of my point My TRACY. Investing 101, buy low sell high, is here! You do have a good point there. The petro dollar is toast and it’s more of an asset based mentality. This site and others are really good for the investment community based on the new narrative that’s taking place. It will be tough on a few that are stuck in the old ” good faith and credit ” narrative. As everything in lending moves to asset based and liquid. A boy is a girl and fed paper is as good as gold. That’s a good one. Let me know how that works in a few months. 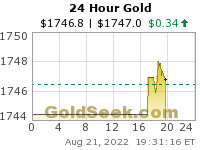 When paper is going down and gold is going up? The meaning behind your comment is so very sad, Wayne! The euro and dollar should hit parity , and then both fall in value. That would be best for both countries regarding trade and economies. The euro dollar inverse trade is close to, Over! A good depression is what we need to teach the sheeple voters a lesson. Yup, we need a good spanking for believing so much foolishness. At the very least a super loud wake up call! ‘s Fitts is truly a bright person. I personally have all the time in the world for her. When will the bottom in the commodities be reached, that is a critical question on the minds of most people who visit this site. This is a much more difficult situation to assess because the markets have been kept elevated for a long time and not allowed to correct. We know that corporations have been buying back their stock and cutting dividends to survive. All the old signs aren’t present, there are some improvements but only minimally and the stock market hasn’t deflated, and bankruptcies aren’t obvious. The economies of most industrialized nations are in decline, the future appears to be false although we live in an age of information we aren’t privy to the proper recording of statistics. In spite of all this we have rumors and psychology to filter. There is a major change in the national economy, the signs are mixed but the direction is not, but that is up to the individual to decide. I think one of two scenarios will play out. There will be a cataclysmic crash or the economy will have no real sustained growth but will muddle along in between recessions. This could go on for some time as for instance what’s been happening in Japan since the end of the eighties. Either way, the standard of living for the vast majority of Americans will not get better but gradually erode at best or fall hard. I don’t see good economic times for the rest of my years on this miserable rock. I, for one, being informed and nimble ate doing okay. ( Could be a lot better, I must admit! The neocons and the big government-two party dictatorship have destroyed America. Hillary will bring on the collapse. Let.s chat this week, Chris. You got it Big Al! Now that is starting to make some sense! This is the position of the USA, also. Canada is marring the US (federal, not state) immigration policy regarding Syrian immigrants. The BALTIC DRY INDEX speaks for itself, it is at 498 points in November and falling, so nothing is moving! This is now the official start of the Greatest World Depression! As for America it will be the Mother Of All Depressions……and you are going to see it first with retail for the Christmas Season, followed by Massive Layoffs and then anger in the streets! 2016 is going to be a mess! The Fed and Obama have no clue as to what they are doing. Why do you think that they are calling for an emergency meeting for today! They are swimming in very dark uncharted waters! Bodies in the mining pits as well. This is a slaughter which will end in disasters on both sides. I may sell some us equity and buy silver. no counter party risk with the phyz…..mining share are cheap , but, who will remain standing. I stay away from miners and buy ETF only, PHS.U. Those that do not quit. A winner never quits and a guitar never wins! I would personally wait a bit. BRING IT…………..ready……………..thanks for the post, great comments. Brother JohnF, great listen to…………appreciate…………………..J. This X22 Report on the current collapse is so on point! You can’t disagree with anything covered in this news brief! You are a traitor, Mr. Obama. You undermine the U.S. economy by allowing illegal immigration. You fail to enforce the Constitution and the Law. You are wrecking the economy. Don’t forget he influenced that Rainbow Law. You could say the same thing about Clinton and the two Bushs. Obama is just a continuation of more of the same. 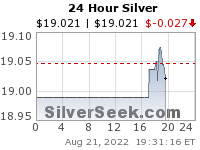 Silver at 13.94 , way to cheap…………comex paper , what a joke. It was under 14 but did not see cascade effect of stop loss. Any idea about volume ? The game is rigged !!!!! For decades. It just got more prominent. If they can withdraw from some large vaults, this ratio may become irrelevant. I remember Brown bottom was made as a result of Gordon Brown selling out half of GB’s gold to save the banks. Rick Ackerman is right on for what two years in his USD rally call? Repeat after me…Rick is right…..Rick is Right All hail Rick! You, like your wife, are corrupt. A proven liar and a cheat. Don’t forget he sold the American workers out when he signed NAFTA. The Clintons are evil criminals. This is a must listen to. And if people don’t like Roger Stone there are a host of other investigators who have found corruption and evil in the Clintons’ past. Big Al, can you get an interview with Stone?